For your connector to interact with one or more of your AODocs domains, you need to configure an AODocs security code for each domain. 2. Access the AODocs Domains tab. 4. Enter the domain name of the AODocs instance you want to register and the AODocs security code generated for the connector. Once the new domain is registered, you can retrieve meaningful information to preview the AODocs links from your users’ posts. 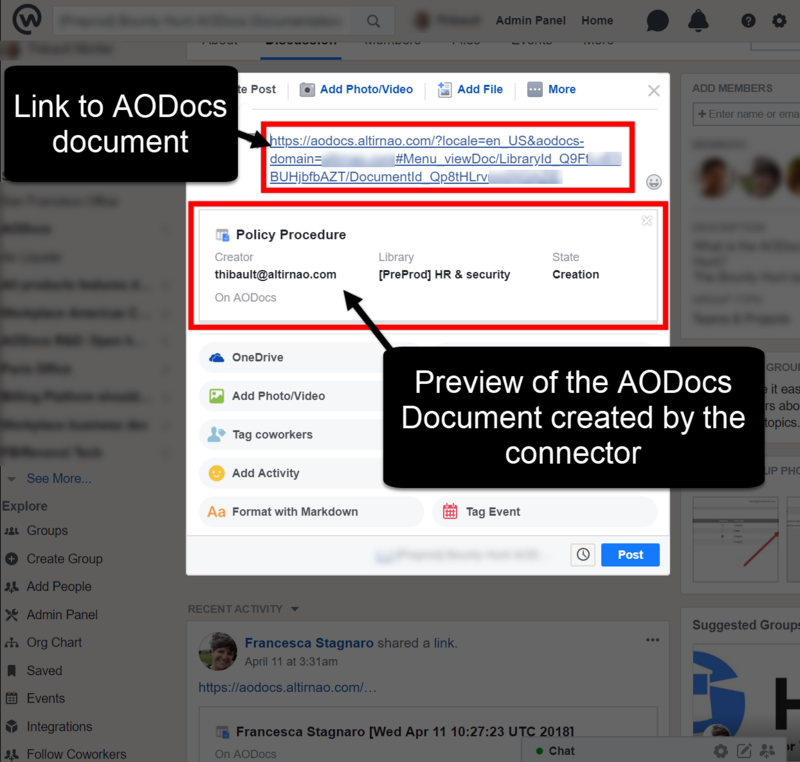 The connector displays AODocs information (such as properties and workflow states) to preview the links only if the current user has the right to view this information.